Petite Opera's upcoming production of Hansel and Gretel opens Friday, November 5. 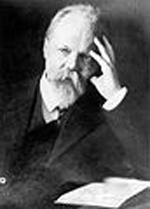 The opera, written in 1893 by Engelbert Humperdinck, is the composer's most famous work. But wait... isn't Engelbert Humperdinck a famous singer? Understandably, new patrons to the opera experience are uncertain what to expect from an opera written by Engelbert Humperdinck. After all, if he's the popular music singer they've heard on recordings since the 1960's, how could he possibly have written an opera in 1893? It is easy to be confused, for there are, indeed, two famous men named Engelbert Humperdinck. While both are musicians, their musical focuses are quite different. Born in Germany in 1854, the original Engelbert Humperdinck began composing music at the age of 7, and composing operas at age 11. He studied under Richard Wagner at Bayreuth, and is most famous for his opera Hansel and Gretel which contains several themes that demonstrate his Wagnerian influences. The more contemporary Engelbert Humperdinck was born Arnold George Dorsey in 1936 in Madras, India. In his early years, he dabbled in the saxophone and singing, and then began pursuing a singing career in England in the 1950's. In the 1960's, after years struggling to make it in music, Dorsey became famous when he adopted the name of the famous German opera composer -- Engelbert Humperdinck -- as his stage name. So, while the names are the same, the music is quite different. From November 5-20, patrons are invited to experience the wonderful 19th-century melodies of German composer Engelbert Humperdinck as Petite Opera presents its production of Hansel and Gretel. Each performance will be preceded by a pre-curtain discussion that will give information about the opera and the composer, and discuss the Brothers Grimm fairytale.